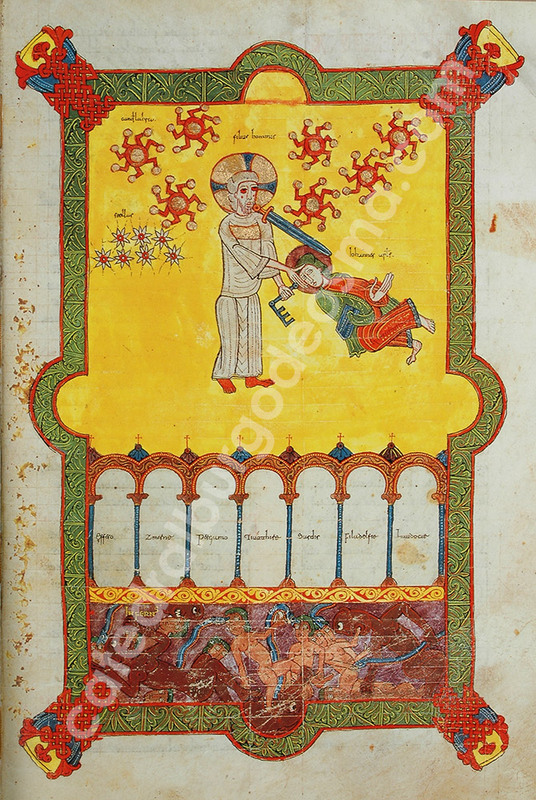 This codex deserves special reference and attention. 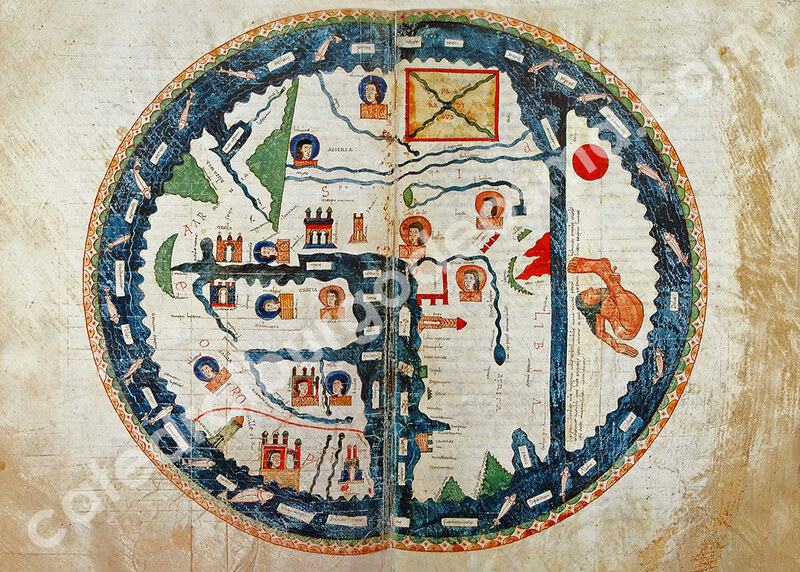 It is denominated as such because it contains the commentary to the sacred book of the Apocalypse made by the monk of Liébana, beatified at the end of the VIII century. In terms of paleography, it is a Visigoth codex dating back to 1086. 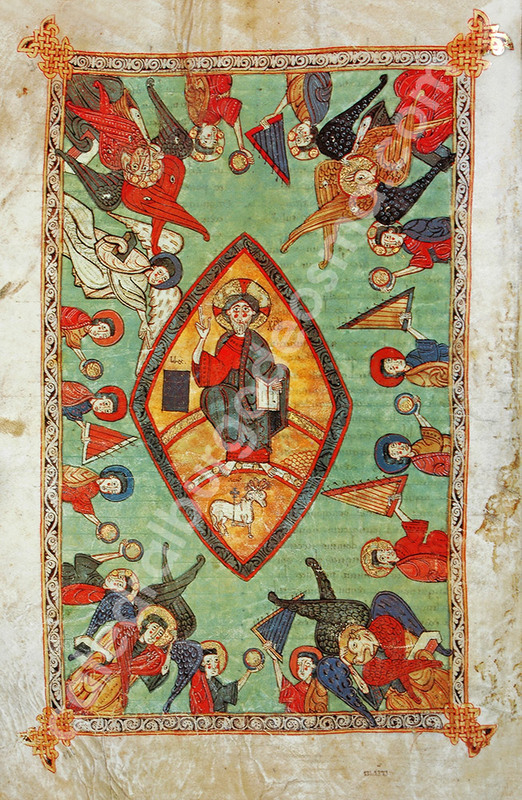 Considering its exquisite miniature, it is Romanesque, vivid, and highly expressive, with influences of the Carolingians in its colour and ornaments, Arabic influence in its yellow ivory and geometric motifs, Lombard influence in its arabesque intertwined designs and fauna and Irish motifs in its spiral plaits. It has just been recognized as the finest work of the XI century.